Have you heard, there’s a brand new beauty box on the scene! 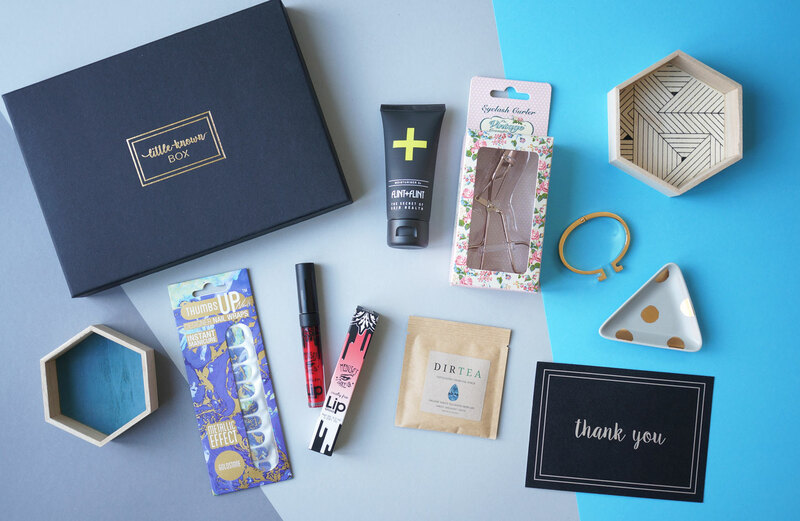 Little Known Box is bringing something slightly different to the table though – they specifically offer lesser known, niche and emerging beauty brands in their boxes. In a world where beauty boxes seem to be offering many of the same brands time and time again (I’m not going to name names but if you subscribe to any beauty boxes you’ll probably know what I’m talking about!) it’s great to see a beauty box offering something new and different to beauty lovers. Little Known Box will also offer products from niche beauty fields such as natural/organic, vegan friendly, cruelty free and free-from brands, which is great to hear. When you sign up for a Little-Known Box subscription, every month you will receive a box of carefully selected luxurious beauty products and gifts. We are passionate about featuring ‘little-known’ products, from independent, niche, upcoming and emerging brands. Chosen with ethics and wellness in mind. You can expect to see a massive range of beauty products in these boxes too, including skincare, makeup, hair, body and grooming products, nail care, nail art, lifestyle and beauty accessories (with the occasional surprise thrown in). You may also see some well known brands, but we’ve been promised the products will always be either little-known or brand new launches. Flint + Flint Moisturiser 3x, full size 50ml, worth £42.00. The Vintage Cosmetics Company Rose Gold Eyelash Curlers, full size, worth £7.00. Medusa’s Makeup Lip Gloss in Bite Me, full size, worth £6.25. Dirtea Tea Scrub, single bag worth £2.15. Thumbs up Designer Nail Wraps, 1 set, worth £7.99. Total value of box = £65.39. On first glance this is a nice collection of products – I must admit though, if it wasn’t for the Flint + Flint Moisturiser, this box would be of fairly low value. There are some nice products in there though and it’s great to see brands such as Medusa’s Makeup and Thumbs Up that are most definitely ‘lesser known’ in the beauty world. Each month LKB promises to include 5-6 beauty products in their boxes. Their monthly subscription is £14.95 per month including shipping if you pay per month, and there are also options for 3 month, 6 month and 12 month single payment subscriptions where you save money the longer the term. In addition to their monthly subscriptions, they will also be offering one-off boxes and gift subscriptions too. I think this is a great first box, though I must admit I’m not overly wowed by it, I’m definitely excited to see which brands and products will be included in the coming months. I think this is definitely one to watch. The first Little Known Box is available now at Little Known Box – I’d love to hear what you think of this?